We recently attended the Arts Can Seminar by Dr Daisy Fancourt, Senior Research Associate/Wellcome Research Fellow at UCL, and were blown away by the research evidencing the impact that arts, creativity and cultural engagement has on physical and mental health. In building the Flourishing Lives coalition, we have the pleasure every week of witnessing the impact that our members’ creative programmes have on the individuals they work with – as well as our own founding report! And yet, like many coalition members, we’re also used to being responded to in a way that suggests that our research is a ‘good start’ but that there is still some convincing to do. And to an extent this is true, but not so much because of the quality or quantity of research but because of how we, as a sector, tell our story. We need to be more convincing. We need to be more confident in our narrative and the way in which we position our findings as being part of a bigger picture. This is where Dr Fancourt’s presentation was so powerful, because of the way in which it presented a truth to which so much of the coalition’s work speaks. Dr Fancourt described how, whilst every research design has its weaknesses, we can still draw firm conclusions through triangulation. Across the research and various methodologies, are we getting the same answers? This articulation speaks to our need as a coalition, and as a sector, to not only be confident in our research and the impact of the creativity we witness, but also how we talk about this work on a bigger scale. This is where the sharing of resources is so vital, and why we are delighted that UCL has funded these papers to ensure all publications are open access and available to the public. 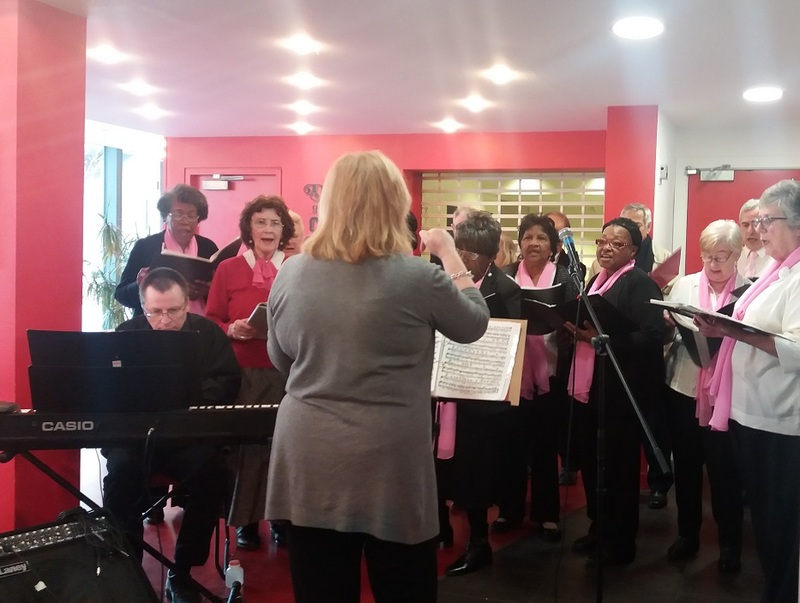 It is a great feeling to hear people talk about how their confidence has grown since engaging with a programme: how their sense of connection has improved by being part of a choir; how their confidence has grown from learning new skills; how they have felt invigorated by being given the chance to dance again. Nevertheless, as sure as we are of our experience of the people taking part, with whom we work so closely and get to know so well, it can be challenging communicating impact. The plural of anecdote is not data (as I was recently informed…). Whilst in reality few take such a black and white view, it does still sometimes feel like our reporting can fail to pack a punch with funders and beyond the sector more generally. However, grounding our findings in data (and indeed using existing research to support applications – as we learned from Dr Karen Gray during our 'Capturing Success' workshop) is a fantastic way to feel the weight of our work in the bigger picture. The Arts Can Seminar covered a huge range of topics and fascinating research from across the life course (certainly we’d strongly recommend checking out the full spectrum of publications, if only to get a sense of how much further this subject extends) but here we’ll focus on the research pertaining to older people. This discussion started with the question: ‘Does cultural engagement in older adults reduce the risk of developing diseases?’ From here we explored the impact that activities like going to the theatre, concerts, opera, museums, galleries, exhibitions and the cinema have on issues like dementia, incidents of depression, physical health and mental health. The evidence showed that each of these activities had a clear, positive impact on people’s health (except for cinema where the results are less compelling). Specific conclusions included: ‘engaging with cultural activities every few months or more is associated with better cognition 10 years later’; ‘cultural engagement is as protective as exercise in reducing the risk of disability in older adults’ and ‘we already know that specific interventions can enhance wellbeing but for long-term wellbeing effects we have to keep engaging with the arts: they are a ‘perishable.’ The research behind these conclusions (and much more) can be found in the articles listed below and a link to all publications can be accessed here. As emotional expression, cognitive stimulation, opportunity for agency, opportunity to learn, stress reduction, hedonic experiences, mindfulness. Voices for minority groups, social support, reduced loneliness, prosocial behaviour modelling, reduced sedentary behaviours, awareness of healthy living, reduced discrimination. Economic community benefits, employment opportunities, service signposting, bonding social capital, bridging social capital, virtuous use of community space, skills development. It needs to be understood on these terms because if we can support every level of a person, their psychological self (like enhanced self-efficacy, coping and emotional regulation), their physiological self (like lower stress hormone response and enhanced immune function) and behavioural self (like exercise, and healthy diet) we can reduce risk of preventable diseases. Follow @Daisy_Fancourt on Twitter to stay up to date with all her latest research on arts in health.